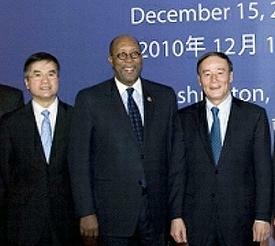 WASHINGTON, DC, December 22, 2010 (ENS) – The United States government says China is illegally subsidizing the production of wind power equipment and has requested talks under the dispute settlement provisions of the World Trade Organization. U.S. Trade Representative Ron Kirk said today that the United States has requested the consultations concerning China’s program known as the Special Fund for Wind Power Manufacturing. Under this program, China appears to provide subsidies that are prohibited under WTO rules because the grants awarded under the program seem to be contingent on Chinese wind power equipment manufacturers using parts and components made in China rather than foreign-made parts and components. The size of individual grants available under the Special Fund for Wind Power Manufacturing ranges between $6.7 million and $22.5 million. Grant recipients – Chinese manufacturers of wind turbines, parts and components – can receive multiple grants as the size of the wind turbine models increases. The U.S. Trade Representative, USTR, estimates that grants under this program since 2008 could total several hundred million dollars. Today’s action arises out of an investigation USTR initiated in October in response to a petition filed by the United Steelworkers alleging that U.S. firms faced discrimination when seeking to supply equipment to large-scale wind power projects in China. The allegations cover prohibited subsides, export restraints, discrimination against foreign companies and imported goods, as well as technology transfer requirements. During its investigation, the USTR obtained China’s clarification that two additional subsidy programs identified by the United Steelworkers in its petition – the Export Research and Development Fund program and the Ride the Wind program – have been terminated. “We will continue to work closely with the USW and other stakeholders in the months ahead on the remaining allegations,” said Kirk. 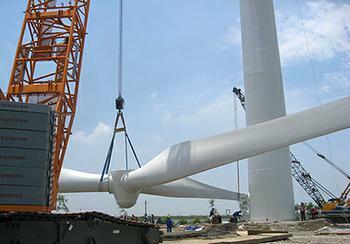 Some U.S.-China talks on the wind power manufacturing trade issues have already taken place. 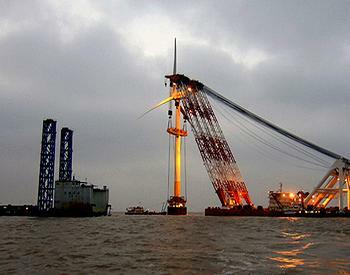 At the December 14-15 meetings of the U.S.-China Joint Commission on Commerce and Trade, China agreed to modify its criteria for approval of new wind power projects by no longer requiring foreign enterprises to have prior experience supplying equipment to large-scale wind power projects in China and instead will recognize their prior experience outside China. Consultations are the first step in the WTO dispute settlement process. If a mutually agreed solution cannot be resolved through consultations, the United States may request the establishment of a WTO dispute settlement panel. China Longyuan Power Group, the country’s largest wind power producer and the largest in Asia, says its installed wind power capacity hit 5.51 million kilowatts in November, after an annual rise of 76.2 percent over the past five years. With its current capacity, the company was expecting to produce 10 billion kilowatt-hours of electricity from wind this year,the company said in a statement December 14. The company forecast its total wind power generating capacity to reach 11 million kilowatts by 2012 and 30 million kilowatts by 2020. China is seeking to use more clean energy to reduce carbon emissions and protect the environment. Total wind power generation is expected to soar to 281 billion kilowatt-hours by 2020, up more than ten-fold from 2009 levels.